Imagine an unlimited number of small unit cubes (all the same size 1×1×1). From these unit cubes, you start to build bigger and bigger cubes in such a way that a cube will be wrapped into other unit cubes. This “unit cube wrap” can be called a layer. Then imagine the built cube C of the size of 5×5×5 unit cubes. 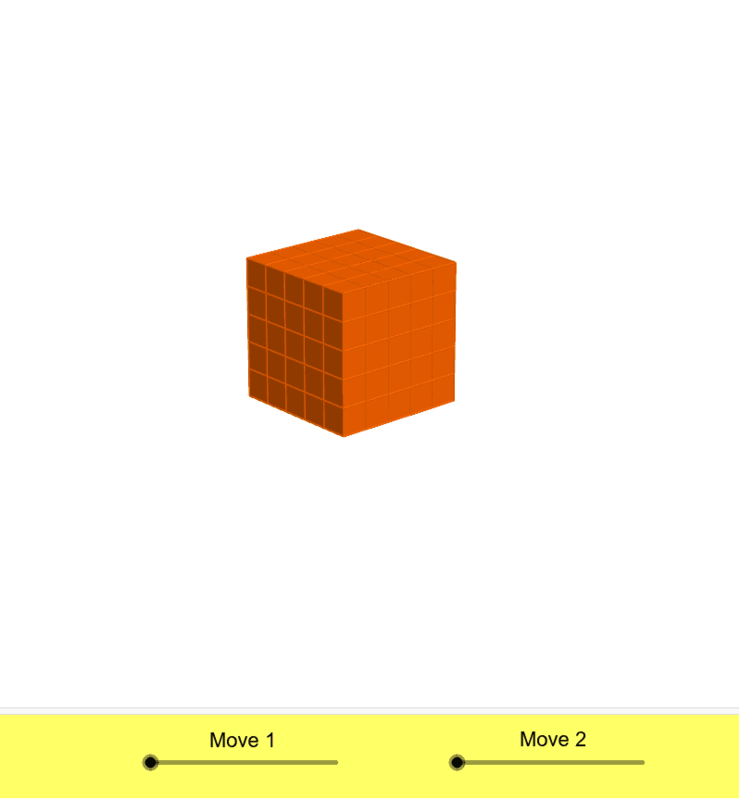 Using the GeoGebra applet, try to answer the following questions: a) How many layers of cube C do you have to unwrap to get to one single unit cube? b) How many unit cubes does each layer have? c) How many unit cubes are hidden in cube C that cannot be seen at all? d) How many unit cubes of the visible layer touch the faces of unit cubes of the previous layer? e) Remove the unit cubes from cube C that have just three touching faces with the other unit cubes. How many unit cubes remain in the visible layer?